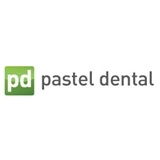 Pastel Dental (San Francisco) - Book Appointment Online! Dr. Pastel and his staff are dedicated to making your experience at Pastel Dental pleasant and comfortable and provide you with the very best in dental treatment. Each member of our team strives to ensure that our patients receive individualized and comprehensive care.